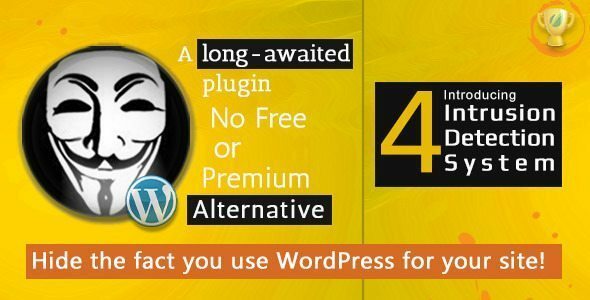 It has been observed that many versions of WordPress websites are not only outdated but also plugins are not as secured as in the latest versions and these websites can be hacked easily with simple automated tools. The best way is to resolve this problem is updating and maintaining the security of your WordPress based websites on a continuous basis. 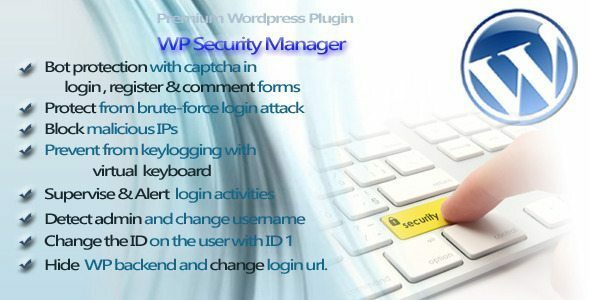 To give an extra security to your WordPress based website, you can use following WordPress Plugins. I will provide some recommendations for WordPress Plugins so you can hide your WordPress Installation to make it more secure. 1. Hide My WP – No one can know you use WordPress! Hide My WP control access to PHP files. It protects your site from almost 90% of SQL-Injection and XSS attacks caused by direct access to PHP files. This means you can install unsafe plugins without worry about security. You know hackers, spammers, and bots all love WordPress, too with Hide My WP they can’t recognize (or access to) WordPress and simply ignore you! Each day your WordPress website meets hundreds (maybe thousands) wp-admin attacks from bots all over the world. (You can make sure about this with log monitoring in your web hosting) They try randomly find your login details and get admin access. 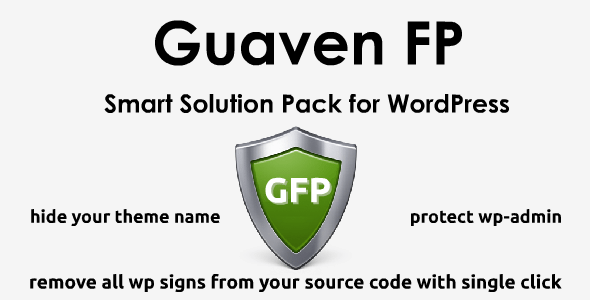 Without any configuration, with one single click WP Guaven FP prevents your websites from all of those attacks. And this is only one of 9 features of WP Guaven FP. WP Guaven Feature Pack is a WordPress plugin that promises unique source code and a more secure WordPress site. Made for all and easy to use. Removes admin bar as well as the WordPress Meta tags, whereas also can change default jQuery, and customizes wp-login page. Attention: Guaven FP doesn’t make any change in WordPress Database, WordPress options, or in wp-includes,wp-admin folders, .htaccess file. (Only 7th and 8th features of the plugin needs to make some changes in wp-content folder before enabling, but they are optional features, you choose to use or not to use them) So it is absolutely safe to use. For example, if you disable the plugin, old state of your website returns back without any error. Block malicious IPs automatically & manually. Prevent from keylogging with a virtual keyboard. Hide wp-admin and change wp-login url. Protect from brute-force login attack. Change the ID of the user with ID 1. This plugin allows you to hide the WordPress admin, login and signup pages from all users except those with a specific capability. Unauthorized users will be redirected via a 301 redirect to your site’s homepage or a URL that you specify in the settings. Modal Log-in for WordPress provides you with a beautiful alternative log-in for your WordPress powered website based on the popular Twitter Bootstrap, a front-end toolkit for developing web applications.